This week, we’ve got the latest on MCC content and playlist updates as well as some extra Halo 5: Guardians Beta stats and notable accomplishments. Let’s get into it. We’re pleased to announce that our upcoming content update, which will improve stability, matchmaking, the party and invite system, and more, is now complete and has been submitted to the certification process. Within the next few days, we’ll provide details on timing and content. The next featured MCC playlist in the rotation is Team Ball – a collection of Team Oddball and Ricochet variants from across the titles. Both SWAT and Snipers have proved to be quite popular, and you can rest assured knowing that they’ll both return to the rotation, and possibly as permanent additions to the lineup if they remain in high demand. The same applies to Team Doubles, Team Objective, and more featured playlists that are in the works. It seems as if you’ve enjoyed the extra stats and info from the beta in earlier updates, so I dug around a bit more to pull out some noteworthy numbers and performers. Take a look below. Congrats once again to the above top performers for dominating the beta, and another thank you to all of you who helped shape Halo 5: Guardians multiplayer. I look forward to digging more into what’s to come for H5 in the future, but this, my friends, will have to do for now. Continued improvement to the MCC experience remains our top priority as a studio. Work on our upcoming content update focuses on Matchmaking search time, Match search success, and Lobby / Party functionality. Fundamental changes to these systems will improve the overall experience while also allowing us to address additional issues such as title-specific hit registration, Matchmaking ranking, and beyond. 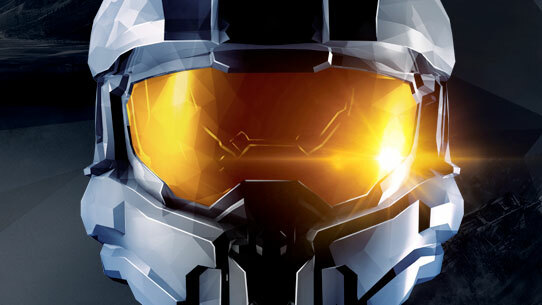 Hello friends, checking in once again to provide the latest on Halo: The Master Chief Collection updates, and also talking a bit of #HUNTtheTRUTH. Let’s get to it. Over the past few weeks, the sun has slowly began to make its way back over to the greater Seattle area, indicating that things like summer, sunshine, and warm-weather expeditions are all on the way. One particular annual warm-weather journey is that of E3, and I do believe many of us are already on board a variety of fast-moving hype trains, most of which are not equipped with brakes.